We gardeners are in a unique position to add to scientific understanding of the natural world by observing and recording the wildlife on our doorsteps. You can contribute to many recording schemes - some of them one-offs, some once every year, and some of them are on-going. There is something for everyone. Don't think that your contribution is not important - completing surveys is one of the most important ways that you can help our wildlife. Conservation decisions can only be taken on the basis of data about the distribution and current status of a species, and the more records that are received, the better that data is. Charles Darwin himself was an amateur naturalist, who developed his ideas from regular observations and records of species that he saw in his garden in Kent. The Buzz Club A UK-wide citizen science charity generating usable data on pollinators and pollination. Big Butterfly Count A simple, online survey of butterflies and day-flying moths (in Great Britain) aimed at people with no previous experience of recording. Only takes 15 minutes! Takes place 3 weeks during July and early August every year. You submit as many sets of results as you want. Garden Butterfly Survey A simple online survey of butterflies in your garden (in the UK). Record the butterflies you see in your garden once a month. This will help to monitor garden butterfly populations and target conservation effort to help struggling species. Moths Count: The National Moth Recording Scheme - a recording scheme for recording all larger moth species anywhere in the UK, Isle of Man or Channel Islands. Migrant Watch A simple online survey for migrant moths and butterflies such as the Humming-bird Hawkmoth or Painted Lady butterfly. Bumblebee surveys In Great Britain the Bumblebee Conservation Trust runs Beewatch for one-off records, and Beewalk where you monitor a permanent route (transect). If you live in Ireland (Northern or Republic) you can contribute to the Biodiversity Ireland Bumblebee Monitoring Scheme. 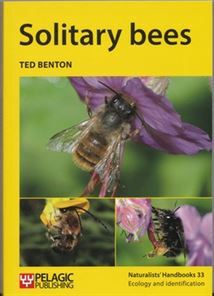 Bees, Wasps and Ants Recording Society (BWARS) – Now has on-line data collection for a series of easy to identify solitary bees, plus sightings of winter-active bumblebees. For most of these schemes click on 'Submit Records' from the BWARS home page, or 'Projects & Research for Winter Bumblebees. The Hoverfly Recording Scheme Aims to collate information about the ecology and distribution of hoverflies. iRecord is a site for managing and submitting all your wildlife records. OPAL Surveys OPAL runs a number of surveys you can take part in. Pan-species Listing A pan-species list is a list of all the animals, plants, fungi and protists you have seen. You can get involved by compiling a pan-species list for a site - it could be your garden.